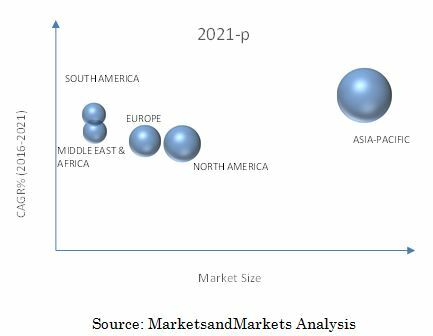 [179 Pages Report] The global protective relay market is estimated to reach USD 3.31 Billion in 2016, and is expected to grow at a CAGR of 6.5% from 2016 to 2021. Protective relays play a crucial role in several segments, including power generation, transmission & distribution, and equipment protection. Relays are installed in the circuit to minimize electrical failures caused by the transients and fault currents that flow through the circuit, and to mitigate their effects. These high-intensity fault currents can damage equipment or devices in the circuit. The protective relay market is segmented on the basis of voltage, protection mechanism, end-user, and region. The year 2015 has been considered for company profiles. Wherever information was unavailable for the base year, the previous year was considered. This research study has involved extensive usage of secondary sources, directories, and databases (such as Hoovers, Bloomberg Businessweek, Factiva, and OneSource) to identify and collect information useful for a technical, market-oriented, and commercial study of the protective relay market. The research methodology used for estimation and forecast of the protective relay market commences with collecting data on revenue of key vendor through secondary research. Vendor product offerings are also taken into consideration to determine the market segmentation. The bottom-up procedure has been employed to deduce the overall market size of the global protective relay market from the revenue of the key players in the market. 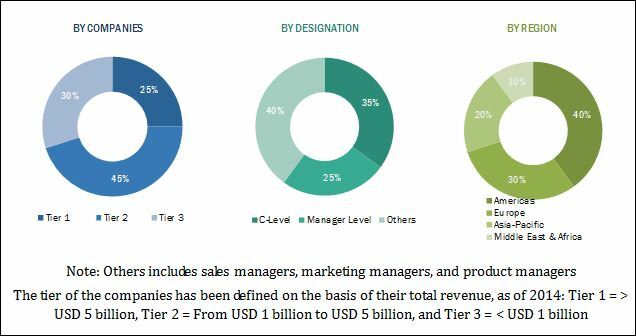 After deducing the overall market size, the total market has been further split into several segments and subsegments, which have then been verified through primary research by conducting extensive interviews with key figures such as CEOs, VPs, directors, and executives. The data triangulation and market breakdown procedures have been employed to complete the overall market engineering process and to arrive at the exact statistics for all segments and subsegments. The figure below provides the break-up of the profile of industry experts who participated in primary discussions. Major players in the protective relay market include Eaton Corporation (Ireland), General Electric (U.S.), SEL Inc. (U.S.), ABB Ltd. (Switzerland), and Schneider Electric (France). The global protective relay market is projected to grow at a CAGR of 6.5% from 2016 to 2021, to reach USD 4.54 Billion by 2021. This growth can be attributed to the increase in transmission & distribution activities across the globe. Ongoing smart grid and substation automation projects are also expected to drive the market. Protective relays are used by utilities and industries to protect expensive instruments such as transformers and motors. The relay senses abnormalities in operating conditions, such as over-current, over-voltage, reverse power flow, and over-and-under frequency, and trips the circuit breaker. Microprocessor and intelligent relays are being used extensively, as they are multi-functional and cost-effective compared to electromechanical relays. In emerging economies such as China and India, the market is boosted by rapid industrialization and urbanization activities. The report segments the protective relay market on the basis of major end-user applications into industries, utilities, renewables, and marine. Utilities are estimated to constitute the largest market for protective relays, and held the largest market share in 2015. The report segments the market on the basis of protection mechanisms into feeder, transmission line, motor, transformer, generator, breaker, capacitor bank, and busbar. Feeder protection relays are the most attractive market in the current scenario. The growing power demand, the establishment of new utilities, and the modernization of old infrastructure are the key drivers of this market. Asia-Pacific is estimated to hold the largest market share, followed by North America and Europe. In terms of individual countries, the market is dominated by China. This can be attributed to the extensive electrical infrastructure upgradation and new transmission & distribution lines being installed in the country. China held the largest share of the global protective relay market in 2015. Rapid economic growth in BRICS nations is expected to drive the protective relay market in these nations. Protective relays will likely be used extensively in the new electrical transmission & distribution networks of BRICS countries. Protective relays have a grey market, which involves local players developing products at a low cost. These products are similar to the high-end products offered by major players. The grey market also has an extensive local distribution network, and thereby prevents expensive and standardized products from flourishing in the market. Major players in the protective relay market include Eaton Corporation (Ireland), General Electric (U.S.), SEL Inc. (U.S.), ABB Ltd. (Switzerland), and Schneider Electric (France). New product launch was the strategy most commonly adopted by top players in the market during the period 2011–2015. It was followed by expansion, contracts & agreements, and mergers & acquisitions. 12.12 Schweitzer Engineering Laboratories, Inc.
12.13 NR Electric Co. Ltd.